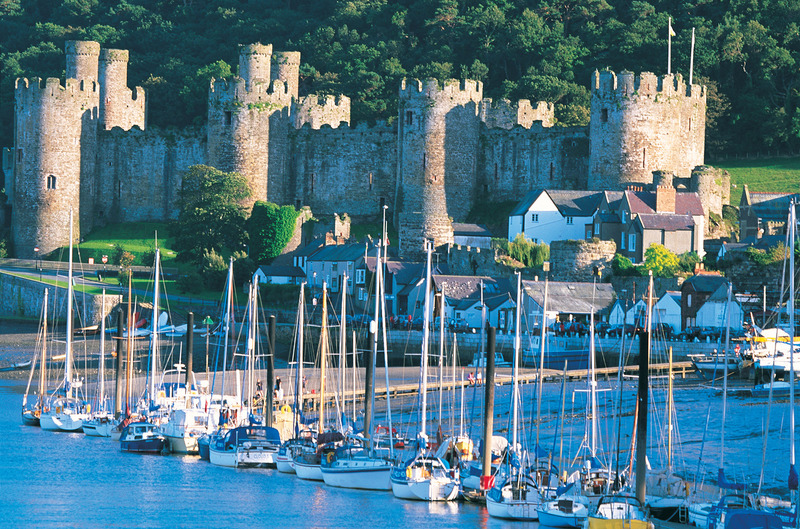 It’s the perfect time to experience & discover Wales & its rich and varied heritage. Whether you’re a fun seeking family, a chilled out couple, or anything in-between, there are plenty of things to do in Wales during these events. Choose from a slow paced day seeing castles, museums and tasting their wonderful local produce, or get lively with some outdoor activities or even a music festival or a sporting event. Rest assured, you won’t be bored in Wales!!! The bike course for Ironman Wales is a two loop course totaling 180 kilometres of spectacular coastal views through idyllic towns giving rides over 2,000 metres of altitude difference throughout the course! The first loop is longer, extending west from Lamphey to Angle peninsula and Pembroke, returning through Lamphey before turning north through Carew and Templeton to reach Narberth. From Narberth the course travels south through Saundersfoot to return to Tenby via St Brides Hill. On the second lap, cyclists turn east in Lamphey to repeat the same route through Narberth and Saundersfoot to reach the transition in Tenby. The official Roald Dahl Day takes place every year on 13 September, on the birthday of the World’s No. 1 Storyteller. This year’s Roald Dahl Day will see fans from all over the world come together to celebrate this most splendiferous of occasions. The swizzfiggling Big Friendly Giant (BFG ) is famous for catching, creating and making dreams come true. So this year we’re inviting you to Dream BIG with the BFG. Portmeirion is a unique and magical site, offering nature and eccentricity in equal measures. It perfectly reflects our vision of an intimate boutique music and arts festival, sculpted for those who enjoy life’s finer things. A festival which is a scene but not a herd, which explores and embraces individual expression and offers you the chance to put reality on hold for a few days. Lose yourself in your own fairytale in the iconic setting where ‘The Prisoner’ was filmed. It was on September 16, in 1400 that the Welsh rebel leader started his revolt by torching the town of Ruthin. Schools, businesses, and community groups in Corwen and Harlech and other places will celebrate Owain Glyndwr Day tomorrow. There will be red and yellow bunting, balloons, services, dancing and lectures in Corwen as well as the launch of a new community bus service. This special patriotic day will also be celebrated in Harlech with children joining workshops and a torchlight procession and everybody encouraged to dress up for the occasion. Tenby is lovingly protected from the outside world by an embrace of 13th-century stone walls, which, ironically, attract—not repel—visitors from all over the world. The town is simply adorable, teeming with the archetypes of pubs and shops one would expect to find in a U.K. city. Theatrical and literary events and Sand Sculpture building on the beach colourful Town Parade exuberantly making its way through the streets of Tenby. The Great British Cheese Festival has made its home, slap bang in the middle of the beautiful setting of Cardiff Castle. Gather your foodie friends together, and make your way here, to try, taste and buy from the finest selection of Great British cheeses. And with samplings and tastings, masterclasses and demonstrations, you will get a real insight into the subtle art of cheese making. Every September thousands of Elvis fans descend on the Welsh seaside town of Porthcawl for a unique celebration of The King. The feature events are the Official Shows taking place in the magnificent Grand Pavilion. These include The Elvies, the World’s leading award Show for Elvis Tribute Artists.In addition, The Hi Tide host over 100 shows over the weekend, many with free admission. Over 20 venues in & around the Town form the Fringe Festival, make Porthcawl the largest Elvis event in Europe.